The Kenyan government said Friday that it has begun deportation of illegal immigrants operating in the country following the lapse of a two-month grace period. 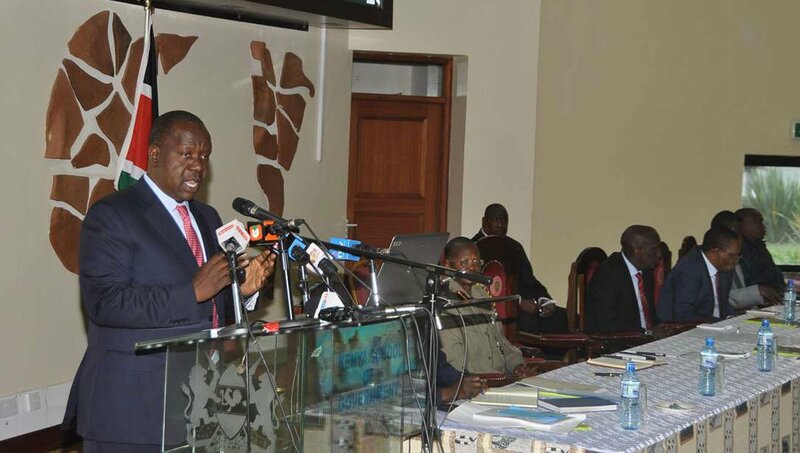 Interior Cabinet Secretary Fred Matiang’i also said the government has deported 60 foreigners who were in the country illegally and sacked 28 immigration officers involved in corruption and issuance of passports without due diligence. He warned that all foreigners who failed the vetting test will be flashed in an exercise that will continue for the next three months. “So far, 60 hotel managers who failed to satisfy immigration requirements have already been deported back to their respective countries,” he told county commissioners and regional commanders during a meeting in Nairobi. Matiang’i said some of the foreigners pretend that they are married to Kenyan girls yet they are trading in drugs. Matiang’i had issued a directive in May ordering foreigners working in the country without official work permits to get documentation or be arrested at the lapse of 60 days, saying the move will help the government get rid of tax evaders and criminals. He explained that illegal migrants with fake working permits come to the country as tourists but take advantage of immigration loopholes to engage in illegal business activities. Matiang’i also announced that foreigners will from Friday midnight not be allowed to apply for work permits while they are in Kenya.